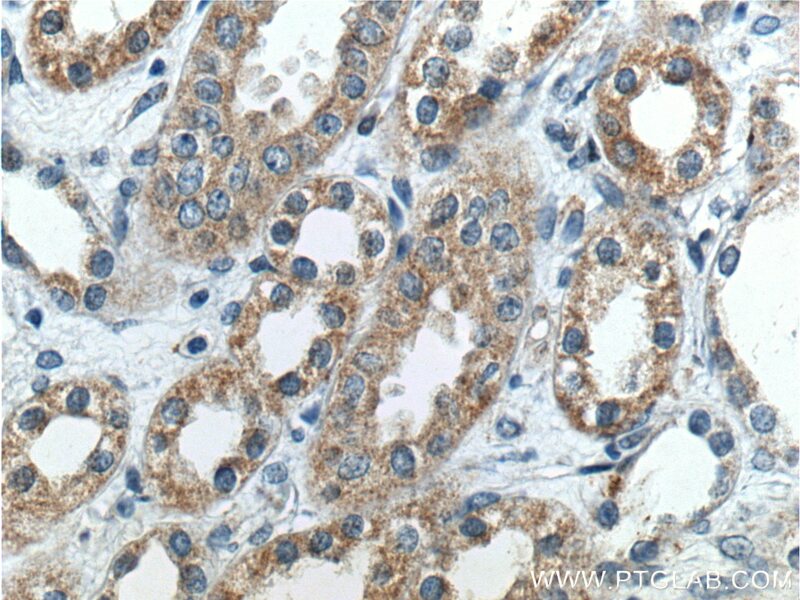 Immunohistochemical analysis of paraffin-embedded human kidney tissue slide using 14134-1-AP( β-ENaC Antibody) at dilution of 1:200 (under 10x lens). 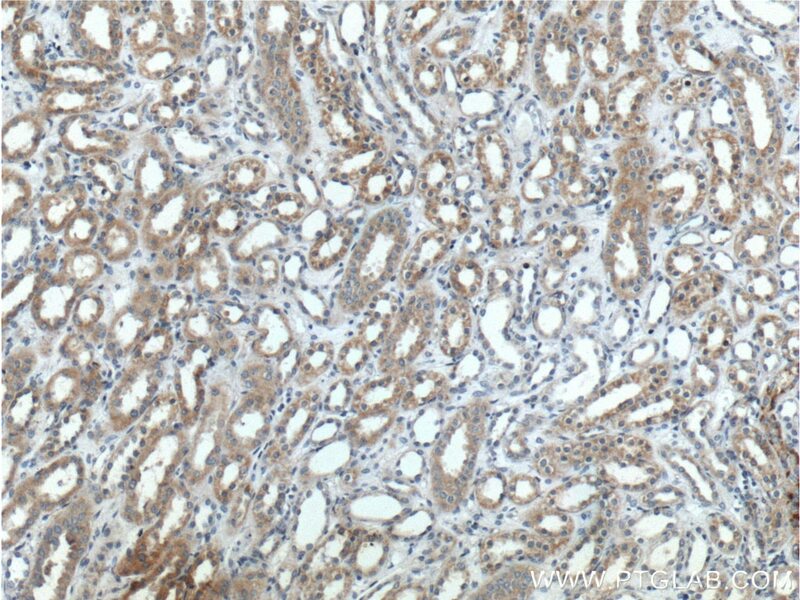 Immunohistochemical analysis of paraffin-embedded human kidney tissue slide using 14134-1-AP( β-ENaC Antibody) at dilution of 1:200 (under 40x lens). SCNN1B, also named as SCNEB, ENaCB, Beta-NaCH and Beta-ENaC, belongs to the amiloride-sensitive sodium channel (TC 1.A.6) family and SCNN1B subfamily. Sodium permeable non-voltage-sensitive ion channel is inhibited by the diuretic amiloride. SCNN1B mediates the electrodiffusion of the luminal sodium (and water, which follows osmotically) through the apical membrane of epithelial cells. It controls the reabsorption of sodium in kidney, colon, lung and sweat glands. SCNN1B plays a role in taste perception. High Salt Diet Affects Renal Sodium Excretion and ERRα Expression. Listeriolysin O Causes ENaC Dysfunction in Human Airway Epithelial Cells.